If, according to adherents of the ATN, natural is indeed better than artificial, than, if one earnestly held to it, one should follow through on several other facets of natural human life. For example, why live in a home when nature intended for you to live the nomadic life among the plains and caves of the Rift Valley? Why, for example, drive a car, take a metro, or ride a bus when nature clearly intended for you to walk and run everywhere? Why live in a city of millions when humans evolved to live in groups of a few hundred? Why cook food when nature intended you to eat food raw (though we have evolved now to eat cooked food)? Why vaccinate when nature evolved viruses to infect/disable/kill people? (At least some Appeal to Naturists follow through on the last two.) Why see a doctor, conventional or alternative, oncologist or quack when one is sick? You’re sick, so it follows that nature made you sick, so, if you were to appeal to nature, you’d wind back at the beginning of this sentence: nature made you sick. There are those who eat organic food instead of conventional food due to the perceived naturalness of the former compared to the latter. However, by the dictates of the ATN, neither are natural; and, in fact, both are much closer to each other than the natural mode of meeting human dietary requirements (hunter-gathering). If conventional food is unnatural, so it goes for organic food. Farms of any kind did not exist in any form prior to 10,000-20,000 years ago in the Orient. 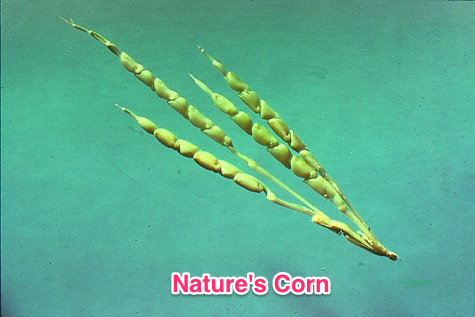 If, for example, the human race were to disappear, its agriculture would accompany her occupants into oblivion; as many of our crops can’t reproduce without direct human intervention—corn and banana to name two, with most of the others requiring pesticides, crop rotation, and other forms of pest management to keep nature’s hordes at bay. 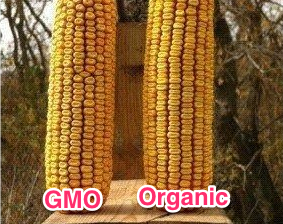 As is obvious, organic corn is practically identical to GM corn, and worlds apart from nature’s corn. For better or worse—definitely worse, actually—the above quote accurately summarizes the natural life. I realize how utterly pedantic I am being, but I am merely following the axioms through to their logical conclusion*. Yet the question remains: if natural is better, why isn’t natural always better? In other words, why would one restrict one’s self solely to dietary and medicinal claims? Why not go the full monty? And since no one who shops at Whole Foods drops everything to go live in the Rift Valley: by what logic does a certain aspect of life become devoted to natural claims (dietary for example) and other aspects, say living accommodations, resorts to artificial conditions? There is no suitable answer here; at least not by the axioms of the ATN*; it’s all or nothing. Since the system of belief that is (or could be termed) the ATN does not account for which aspects of your life should be subject to natural law, how does one choose which aspects of their lives fall under the natural dictum? Some kind of evidence must be used in place, or above, the ATN to guide it. So, considering that some extra-ATN evidentiary standard exists, what is it? However, to take it further, since some kind of extra-ATN evidentiary standard exists: of what use is the ATN to begin with? However, my biggest issue with the appeal to nature is a simple observational fact of human life. If natural things/conditions are better for humans, why do we find that prior to the industrial revolution, prior to modern medicine, sanitation, mass agriculture, and everything else we might call unnatural was the average human life expectancy about 27 years of age? Think about that for more than a second; about 50% of the entire human race would die before they reached my current age of 28. The unfortunate ignorance of this fallacy reveals itself not only in its spoken conclusion (that natural remedies—as ill-defined a term as that is; for example, how natural can homeopathy be if it must be diluted, shaken, sorry, I mean succussed, in just the right way a hundred times over?—are superior to artificial remedies), but also in what those who adhere to it don’t change about their lifestyle. Some natural conditions are indeed better than artificial conditions. However, given that, the ATN allows no reliable means to discern which; only logic and evidence can do that, and since you have to use logic and evidence to define which tenets of appealing to nature you will use, then the appeal to nature is nothing more than a tautology; not only vapid, but illusory. That is why it is a fallacy: because even when you use it, you’re not using it. * – Notwithstanding the fact that the ATN is fallacious, which indicates a break in logic, but I am here referring to what adherents of the ATN would conclude with. I do like the approach. I’m a little rusty with my philosophical terms, but I think it highlights something called the “Taxi Cab” fallacy: adherents of the ATN fallacy take the argument as far as diet and medicine and then get out of the taxi and not follow it through to its conclusion. Why so black and white? Sure some people overdo the nature thing, but that doesn’t mean it has no merit. True, I don’t want to live in a cave and forego modern medicine, or rely on my diminishing speed to chase down my next meal. On balance, if I have to choose, the modern lifestyle is best…but why do I have to choose? Why not be aware of when the appeal to nature actually is valid? I did not evolve to sit at a computer all day and though I can make a living that way, and not have to worry too much about being eaten by predators, there are problems that come with that. Accordingly I go for a walk in the forest every day, carrying a sharp stick (two actually) even though I rarely find anything worth eating or mating with. You can have it both ways, however, you can’t have both the ATN and evidenced based reasoning. The ATN doesn’t exist, it is fallacious. When one uses it, they aren’t using it, they are simply adding an evidentiary standard on top and using that standard to appeal to nature. Evidence and reason are all you need: it will steer you to natural remedies when they work. That is the point of this post.